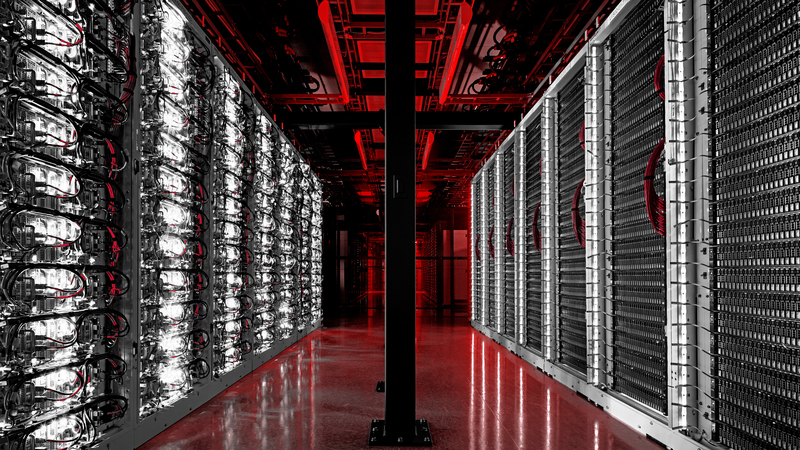 LAS VEGAS – Switch and Rackspace today announced a new agreement to deliver Rackspace private cloud solutions and connectivity to managed public cloud solutions on AWS, Azure and Google in Switch’s highly secure and reliable Tier 5® Platinum data center PRIME locations. The agreement builds on Rackspace’s Fanatical Everywhere and Pay-As-You-Go Private Cloud services that allow customers to run private clouds in any data center, with a consumption and billing model similar to that for public clouds. The Industry’s Top-Rated Data Centers – Switch’s Tier 5® platinum data centers not only encompass the resiliency and redundancy in other data center ratings systems, but also evaluate more than 30 additional key elements, such as long-term power system capabilities, the number of available carriers, and 100-percent use of renewable energy. Global Cloud Connections – RackConnect®, Switch SUPERLOOP® and Public Cloud On-Ramps enable customers to connect with low latency to Rackspace’s managed solutions on the leading public clouds, combining the security of traditional colocation with the flexibility of the cloud. Enhanced Security – By combining Rackspace Managed Security (RMS) solutions and Switch’s Tier 5® Platinum data centers, customers can attain unparalleled physical and cyber security to protect workloads across their various IT environments. Switch Tier 5® Platinum data centers PRIME locations include Las Vegas, Nevada, Tahoe-Reno, Nevada, Grand Rapids, Michigan and Atlanta, Georgia. To find out how to get Switch and Rackspace joint solutions, please email rackspace@switch.com. Switch (NYSE: SWCH), the technology infrastructure corporation headquartered in Las Vegas, Nevada is built on the intelligent and sustainable growth of the internet. Switch founder and CEO Rob Roy has developed more than 500 issued and pending patent claims covering data center designs that have manifested into the company’s world renowned data centers and technology solution ecosystems. Visit switch.com for more information. Rackspace is a leading provider of IT as a service in today’s multi-cloud world. It delivers expert advice and integrated managed services across applications, data, security and infrastructure, including public and private clouds and managed hosting. Rackspace partners with every leading technology provider, including Alibaba, AWS, Google, Microsoft, OpenStack, Oracle, SAP, and VMware. The company is uniquely positioned to provide unbiased expertise on which technologies will best serve each customer’s needs. Rackspace was named a leader in the 2017 Gartner Magic Quadrant for Public Cloud Infrastructure Managed Service Providers, Worldwide and has been honored by Fortune, Glassdoor and others as one of the best places to work. Based in San Antonio, Texas, Rackspace serves more than 140,000 business customers, including most of the Fortune 100, from data centers on five continents. Learn more at www.rackspace.com. This press release contains forward-looking statements within the meaning of the Private Securities Litigation Reform Act of 1995 concerning Switch and other matters. All statements contained in this press release that do not relate to matters of historical fact should be considered forward-looking statements, including, without limitation, statements regarding the benefits of the planned alliance and the availability of solutions for customers. In some cases, you can identify forward-looking statements by terms such as ”may,” ”will,” ”should,” ”expects,” ”plans,” ”anticipates,” ”could,” ”intends,” ”targets,” ”projects,” ”contemplates,” ”believes,” ”estimates,” ”predicts,” ”potential” or ”continue” or the negative of these terms or other similar expressions. The forward-looking statements in this press release are only predictions. Switch has based these forward-looking statements largely on its current expectations and projections about future events and financial trends that it believes may affect its business, financial condition and results of operations. Forward-looking statements involve known and unknown risks, uncertainties and other important factors that may cause Switch’s actual results, performance or achievements to be materially different from any future results, performance or achievements expressed or implied by the forward-looking statements. You should carefully consider the risks and uncertainties that affect Switch’s business, including those described in its filings with the Securities and Exchange Commission, including under the caption “Risk Factors” in Item 1A of Part II of Switch’s Quarterly Report on Form 10-Q filed with the Securities and Exchange Commission on November 14, 2017. These forward-looking statements speak only as of the date of this communication. Except as required by applicable law, Switch does not plan to publicly update or revise any forward-looking statements, whether as a result of any new information, future events or otherwise. You are advised, however, to consult any further disclosures Switch makes on related subjects in its public announcements and filings with the Securities and Exchange Commission.